These pieces were handmade by me from a set of plans. 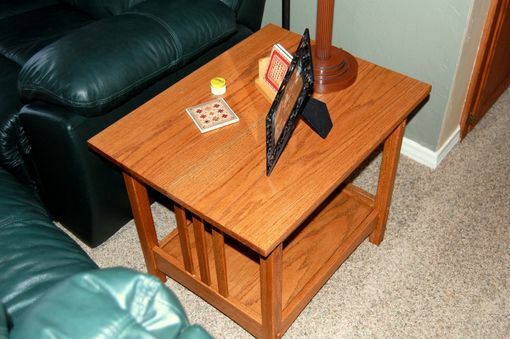 They are a Coffee Table and a matching End Table. I also have plans for a matching Sofa Table. The plans called for larger pieces but I cut down the size to accommodate my small living room. Both pieces are made from Red Oak with hand-cut mortise and tenon joinery. 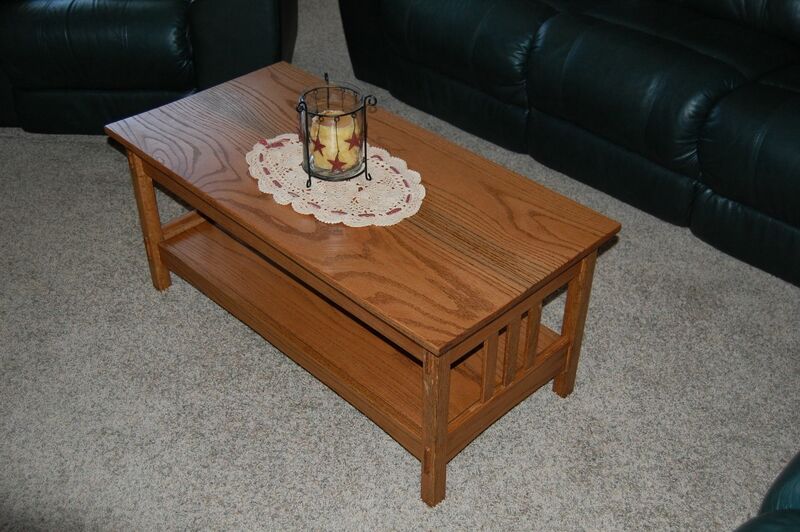 I can custom make one or all of the trio for you to your exact specifications, and desired wood species.